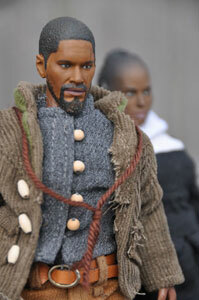 On the QT: “Django Unchained” dolls have gone underground and are netting record prices. In his “grindhouse” double feature flick, Tarantino gave himself a juicy role. 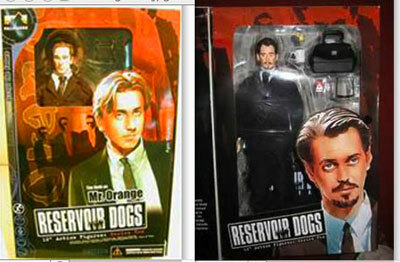 The cast of that film was made into dolls and action figures. 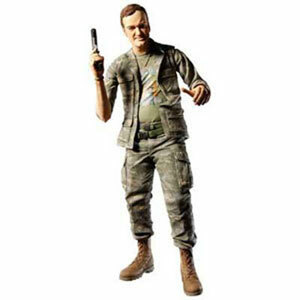 Here is the Quentin look-alike. “Reservoir Dogs” put Tarantino on the map as a force to be reckoned with in Hollywood. The film featured tons of profanity, the slicing off of an ear, and a bloodbath finale. Its dolls were sought after by adult collectors and fans of film noir. 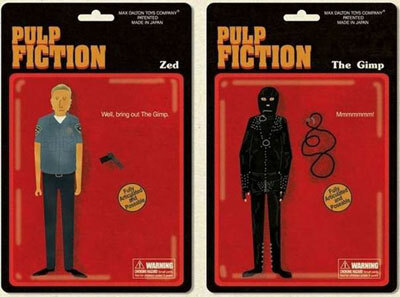 One of the creepiest moments in cinematic history occurred in “Pulp Fiction.” Meet the Gimp and Zed—a perverse variation on an on-screen couple. As part of an art contest for the freakingnews Web site, “jest3r” created this salute to Tarantino, Uma Thurman, and Barbie. 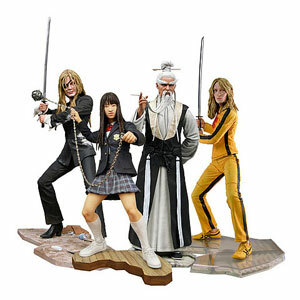 “Kill Bill” was a martial-arts masterpiece. 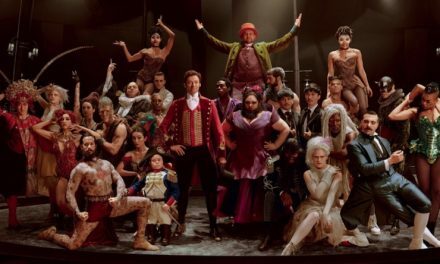 Filled with beheadings, knife fights, and hand-to-hand combat featuring Ms. Thurman, its characters were replicated in doll and action figure forms. Not his biggest box-office success, “Inglourious Basterds” brought critical acclaim to Tarantino’s oeuvre. 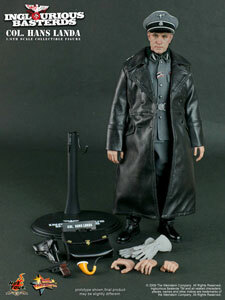 The characters in this WWII re-imagining were made into dolls, including the self-important, deluded Nazi officer. “Django Unchained” is Tarantino’s latest Hollywood epic. It’s racking up great reviews and tons of controversy. Right in the eye of the storm are the dolls from the new Civil War action flick. 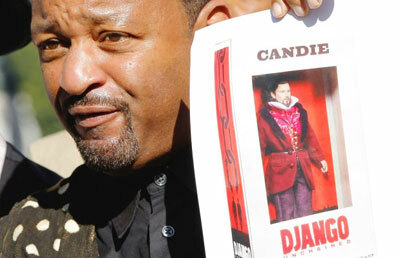 Activists and community organizers, led by Al Sharpton, called for the “Django Unchained” dolls to be pulled from shelves. Their outcry was successful. 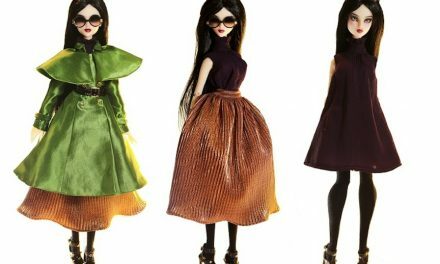 With the dolls no longer readily available, collectors are turning to Internet sites to buy them. Many have sold for thousands of dollars each. Director/producer/screenwriter Quentin Tarantino is turning 50 years old in March, but he doesn’t show any signs of mellowing or chilling out with age. Nope, instead the self-proclaimed “film geek” is stirring up controversy and stealing headlines with his latest film, “Django Unchained.” In case you’ve been snoozing for the past month, “Django Unchained,” or “DU,” is Tarantino’s blending of a spaghetti-western with a black-exploitation-movie vibe. It’s supposedly paying homage to the Sergio Leone European-existential epics that made Clint Eastwood a superstar as the “Man with No Name.” Tarantino is a bona fide expert in cult films, classic Hollywood, and movies that have made a difference in the social climate. He really knows his stuff, so he must have known somewhere in his subconscious that “DU” was running the risk of shaking up the status quo. The movie is peppered with the “N” word, which has long been a favorite of Quentin’s scripts. (And this is not a joke, but he justifies his reliance on it because he feels like an honorary black man because his mother used to date basketball Lothario, Wilt Chamberlain. I am not kidding. This is an actual explanation.) Rough language aside, the film is steeped in graphic violence, blood and gore, and brutal race relations. The title character, Django, seeks revenge against the Southerners who have enslaved and brutalized him and killed his people. In chatting about it on “Saturday Night Live,” the film’s leading man Jamie Foxx said he was happy to play the part because it allowed him to “kill hundreds of white people.” Oddly, white people in the audience laughed and applauded that line. So, the film has been sparking big fires and little fires throughout its promotion. Now, though, it’s even affecting the world of dolls and collectibles. In his personal life, Tarantino is a huge collector of movie memorabilia. He also loves to acquire campy, kitschy items—he has a museum’s worth of old board games based on cheesy TV shows and movies. He loves this kind of schlock. Priced at $29. 95 to $34.95, the dolls were selling modestly . . . and then Al Sharpton came along. Armed with his megaphone and indignation, Sharpton and other community activists demanded a boycott and a recall of the dolls. They maintained that the dolls were an abomination and an insult to the heritage of African Americans. They stated that it was an insult to have “slave dolls” available for “young children to play with” and that it sent a negative message to the kids. Mind you, half the NECA dolls were of the white characters, so these were not solely “slave” creations. Now, I wish Sharpton had contacted me. I could have put his mind at ease. The NECA dolls were never intended to be bought by children. You know that; I know that; Quentin Tarantino knows that; and perhaps deep down, Al Sharpton knows that too. 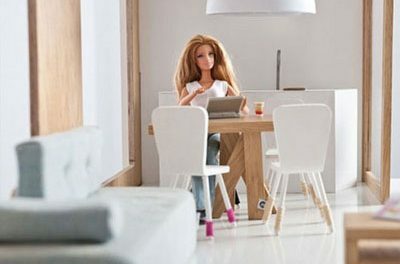 (If he had bothered to read the company’s press material, the dolls were designed for an adult audience, aged 18 years and up.) But not wanting to let a good rant go to waste, he pressed hard, along with his associates, and they got the NECA dolls pulled from shelves and to have their production curtailed. One enterprising collector has a mixed grouping of 10 dolls (the six originals plus four duplicate characters) up for grabs at $19,999. It is outrageous that such a price could be asked, and more unsettling that it might be paid. Also unsettling is that Sharpton and other leaders decried the selling of these dolls to children because it devalued the African-American experience. They didn’t think it was right to have this chapter in American history bought and sold. One community activist also stated that Leonardo DiCaprio, who appears in the film as the ultimate bad guy/slave owner, collects slave dolls in real life! I’ve heard many tales of DiCaprio’s environmentalism and his free-spending ways, but I have never heard that allegation before. It seemed concocted or sorely misrepresented. Now, because of the activist interference, the dolls are being auctioned off to the highest bidders: an event that must smack of slave auctions if you are super sensitive and inclined to be bothered by this tempest in the first place. I doubt as the weeks pass if these dolls can maintain the insane asking prices. It has to be an inflated reaction to the shutting down of the merchandising. For movie collectors who feel they’ve missed out on this bit of memorabilia, perhaps there is a silver lining to this storm. Potentially stuck with a backlog of “damaged, controversial” product, NECA might one day down the road—let’s say a year or two from now—offer these for sale at your local Dollar Store. Along with the other once-trendy but now out-of-date offerings found in a remainder bin, a “Candie” or “Butch” or “Schultz” 8-inch doll from “Django Unchained” might catch your eye. If so, scoop them all up and hold on. For a $1 investment, you might get the actual retail price paid to you by a QT fan: $29.95. And that amount seems just about right. PreviousInauguration Ideal: Obama Dolls venerate the highs and lows of the highest office in the land. 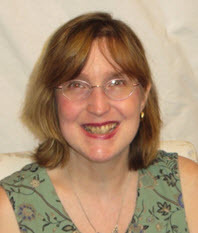 NextGuys and Dolls: A “manly man” gets in touch with his “Chatty Cathy” side.